Russian Prime Minister Dmitry Medvedev speaks at the 2016 St. Petersburg International Legal Forum, May 18, 2016. The Russian prime minister has urged the international community to act together in addressing global challenges. "Our companies and citizens have been subjected to pressure for two years," said the head of the Russian government at the plenary session of the St. Petersburg International Legal Forum on May 18. "Russia is ready to prove the core values of our civilization, but we can achieve this goal only together," said Medvedev. "We must trust each other in solving the global problems of the state." According to Medvedev, it is necessary to make all important economic and political decisions in a legal form. At the same time, the country's authorities are ready to comply with the decisions of international courts. 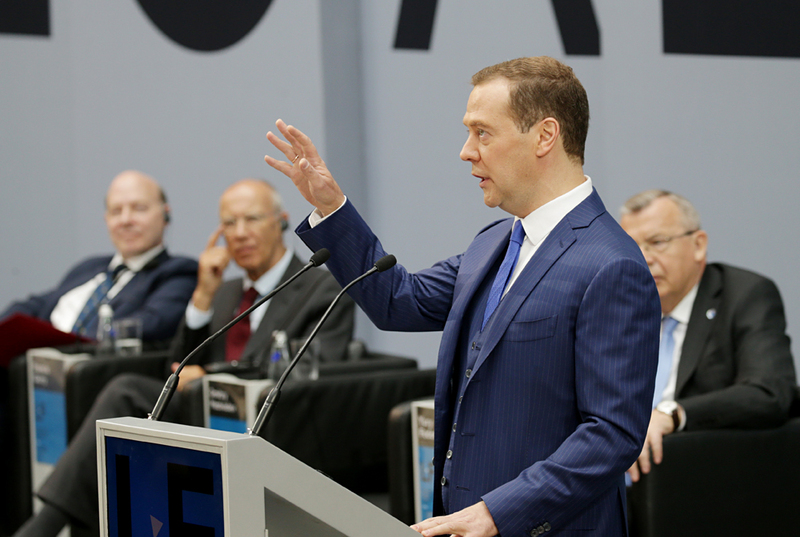 "Our system remains open to the enforcement of foreign arbitral awards, unless they are contrary to our public order," said Medvedev. However, in his view, some investors are using the "veil of a foreign jurisdiction" to have an effect on the Russian authorities. He did not elaborate upon which investors he meant. "Over the past few decades, terrorism has become a global threat that requires global solutions and response," she said on May 19. "We live in the digital age, when it is very difficult to establish the identity of a counterparty in legal relations," he said. Can the Russian government control Internet traffic? According to Microsoft's Stephen Crown, the regulation of the digital domain is inevitable, but it is important that it be limited. The development of cloud computing raises serious problems of information confidentiality, he said.